Did I ever mention that I really don't like the work done by Bushin Happy Hacks? 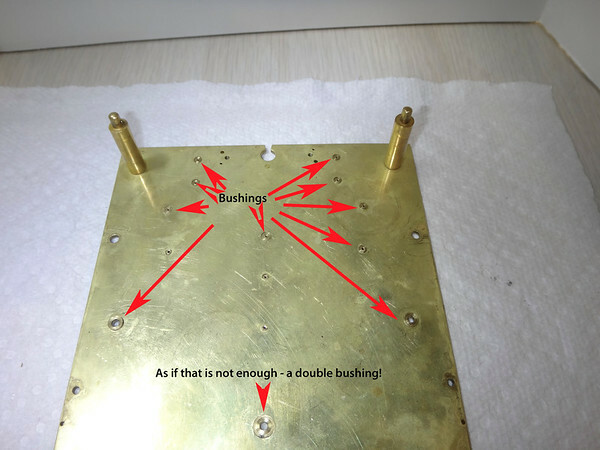 One of the major unknowns on this mechanism is how the ridiculous number of bushings that a previous restorer installed will impact this clocks operation. At this point I am just doing what I can to replace those that are truly abhorrent, and cleaning up the others as best I can. The hope is that, when reassembled, all the trains will run as designed. If not, there will be a lot of effort figuring out how the bushing happy hack moved the pivot holes.